How much is table service on Tuesdays at 1 OAK LA? Mezzanine table (small) with a view of the DJ and dance floor $1500, 8 comps. Mezzanine table (large) $2000, 12 comps. VIP tables on main floor start at $2500 and goes up from there. 1 Oak Los Angeles. This One of A Kind Tuesday night spot in LA offers bottle service, Hip Hop DJs and celebrity live shows. Bringing New York nightlife to LA scene. 1 Oak: best Tues night out in LA for any occasion. 1 OAK, short for One-Of-A-Kind, has proven to be THE hottest exclusive “it” party place in LA on Tuesday nights—perfect for group celebrations, dancing, bottle service and celebrity spotting. Every 1 OAK LA reveler will feel like a VIP inside this three-level space thanks to the luxe Studio Iyor-designed vibe—think: Da Vinci Code­-themed walls, black-and-white chevron-pattern flooring and Brazilian wood counters. Large-scale oil paintings, gorilla sculptures, and bright text and light installations bring a cool cultural touch to the venue. To keep 1 Oak LA party people dancing, the music comes alive through an interactive DJ booth synced to show video art. That pulsating party vibe is intensified with 1000+ lights lining the ceiling and the center wall to ensure that the party continues well into the night. It’s impressive!! All Patrons subject to the doorman’s discretion. Dress code is strictly enforced. And early arrival is highly suggested. 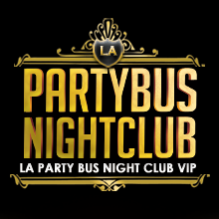 For tables with bottle service reservations, guests can call 310-749-9029 or use form below. Drop us a line and we will provide you with all the information you need as well as send you an email confirmation; keeping you in the loop each step of the way. Plus, our services will also come at no cost to you. Any special details we should know about?